The Eastern Mediterranean shores serve up a grittier yet equally glorious feel in comparison to it polished west. Here, ancient olive trees stand on fabled Greek islands, crumbling golden ruins and thick fortress walls mark out the Adriatic coastline, and vibrant buzzing cities like Istanbul hold spires and secrets that have been stashed for many lifetimes. For yacht charters, the Greek Islands, Adriatic, and exotic Turquoise Coast will transport you to exotic lands a far cry from your usual picture book Europe. The eastern side of the Mediterranean Sea can be discovered when you leave the usual contenders of France and Spain behind. 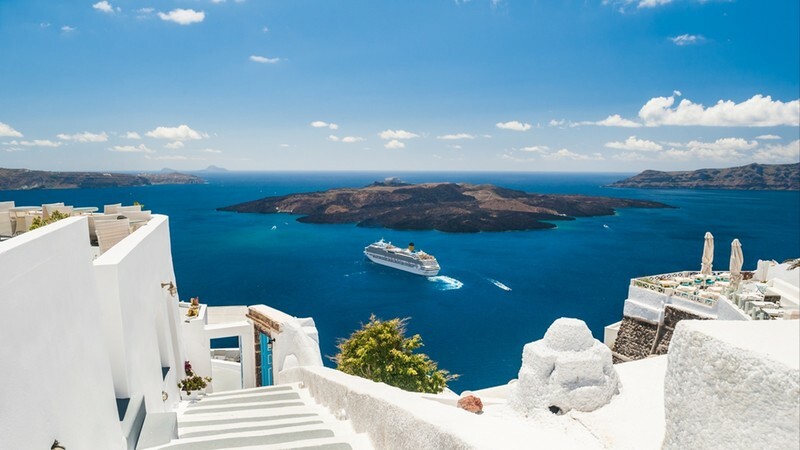 Even keep chartering past the Baltics, and down in the crook of the south you will find the thousands of islands of white, blue and gold that make up the mythological shores of Greece. After leaving Greece behind you start to skim the otherworldly waters that connect Europe with the exotic east. The coastline of Turkey is inked in iridescent blue and green and delivers endless rare experiences. The Adriatic is home to yacht favorite contender Croatia with her striking cities that eventually ebb and flow into pint-sized but pretty Montenegro. Without a doubt one of the favored yacht destinations for those chartering the East Mediterranean has to be the glut of Greek Islands. Santorini is famed for her sapphire roof tops and is said to have the best flaming pink and orange sunsets in the world. Zakynthos boasts the best blue flag beaches hidden beneath soaring white cliffs scattered with shipwrecks. Ithaca is the homeland of Odysseus and filled with fabulous ruins and frescoes. For a yacht charter experience of ancient mythology, mezze, and mesmerizing stretches of sand – Greek Island hopping is glorious. Croatia is topping everyone’s list as the new go to yacht destination. Dubrovnik is a favored port of call thanks to her dazzling Old Town. The golden walls, the terracotta rooftops, and the limestone winding streets set against a dazzling backdrop of shimmering blue never fails to inspire a fantasy mindset. 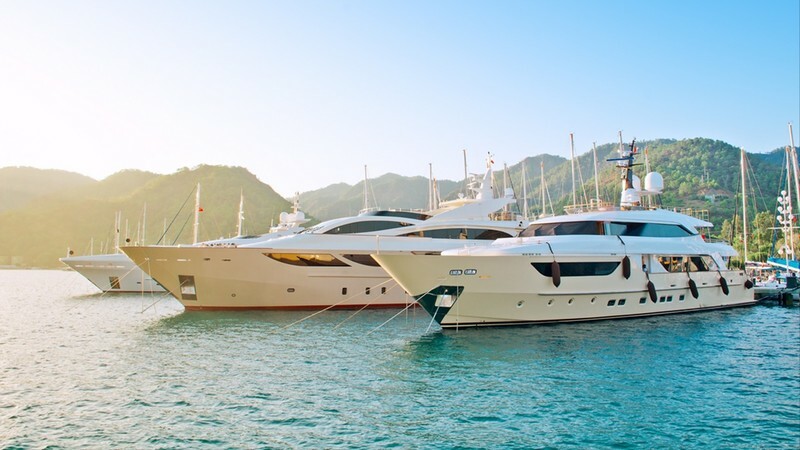 The Turkish Riviera is another majestic highlight on a yacht charter itinerary. The stretch of mind-blowingly bright water between Antalya and Fethiye is a playground of white sands, Lycian tombs, refined resorts, and glimmering green forested slopes. Istanbul is a must for yachts cruising as far down as Turkey on an East Mediterranean charter. A plethora of minarets, bustling markets and bazaars, and rich heritage greets you as soon as you step ashore. See the majestic Blue Mosque, tiptoe through the Topkapi Palace, and see all the gold that glimmers in the Aya Sofya. While sailing through the breezy Ionian blues of Greece, make sure to swing by Crete. The eclectic little island is awash in natural beauty and boasts some of the very best hiking in the east. The Samaria Gorge makes for an enticing place to walk whereas those seeking a splash of elegance can stay up late in the former fishing village turned cosmopolitan gem – Elounda. For yacht charters seeking to unravel lands of myth and magic, sail in the footsteps of Homer, and lose themselves in the world’s most enticing ancient cities – the East Mediterranean will leave you amazed.